Big Blast has changed to Stomping Ground, check out their website here. The equipment is all new, see photos on their website. This is an old post about Big Blast – kept for the memories!! Now here’s a play centre that causes a bit of a conundrum. The three of my children who have visited absolutely love it. But me… not so much as they do. Read on… my thoughts are in this review. How long should I leave them there for? Big Blast is basically one large warehouse-type space, full of huge inflatables. They are pretty spectacular especially the precipitous drop of the Cliffhanger. They ran about like maniacs, they whacked each other with giant soft sticks. They soared and climbed. They got into suits and stuck themselves to the velcro walls. It was just what my totally over active kids needed on a wet day. We were fortunate that not many people were there at the time. I had called ahead and been advised to come quick before some parties were due in. I would absolutely recommend calling ahead to see how busy it is, especially if your children are young. Big Blast is for children aged 5-15 both for casual entry and for birthday parties. They do a drop and go but only for children aged 10-15 years. It’s very expensive! Casual entry is expensive at $25 for 1.5 hours and $22 for 1 hour. The cafe is not great, see below. There is always a staff member on duty but I would recommend keeping a very close eye on younger children and taking plenty adults if you’re there for a party with heaps of kids. I couldn’t see any safety instructions or warnings and no safety briefing was given (unlike Tree Tops Adventure Park which did the best one I have ever seen for my kids.) 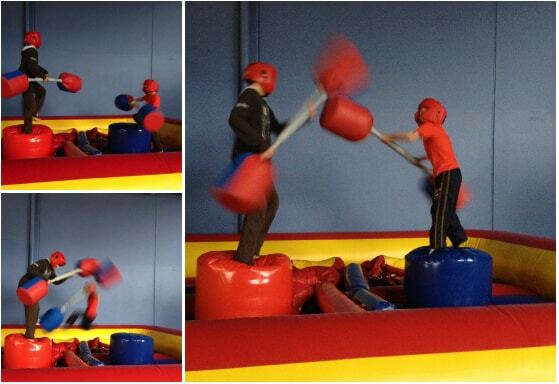 The son of a friend of mine hurt himself badly there when he fell awkwardly off one of the inflatables. Some of the equipment needs updating, the velcro suits and wall were only just working when we were there. But my children did absolutely love it, and begged us to take them back. So we’ve been twice and I dare say will go there again. My poor purse. Cafe: Yes, upstairs, with windows to look down on play area. NOT a great menu and the coffee is from a vending machine. Horrors!! The hot food was limited to pies only when we visited. Parking: Free onsite parking under the building, entry on Dale Street. Would your children like Big Blast? Would you pay that much to wear them out? Self Care on Sunday 10: Unsubscribe! Hello Mairi, yes, I left them there for quite a while. I need the velcro wall and suits at home. They were laughing so much they could barely move when they came off. Sweet, and D was into it too. His teen cool can still disappear completely. A fun play centre with bad coffee. Are these people insane? Kids love to beat each other up don’t they? . 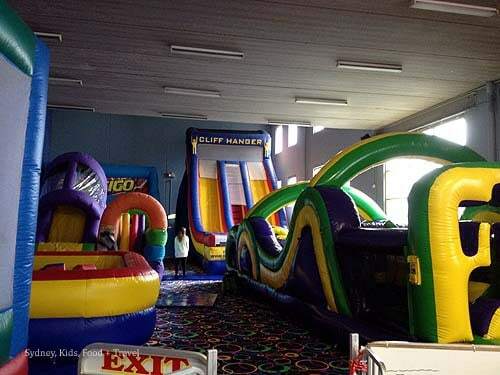 The Velcro wall looks brilliant. Oh me too, Rachel. When my older boys were little, and GiantTeen16 was genuinely hyperactive I would sometimes go to a pool and THEN a play centre, just to keep out of the house. With the twins,I know I could take them to pools more when it’s raining, they always love a splash and a swim and it’s SO good for them. But often I am idle and go to play centres which cost far, far more. Must make a winter mantra – to the pool when it’s raining, if wet, get wetter. That is pretty pricey…especially for bad coffee. Paid more than we should have and sadly won’t return. 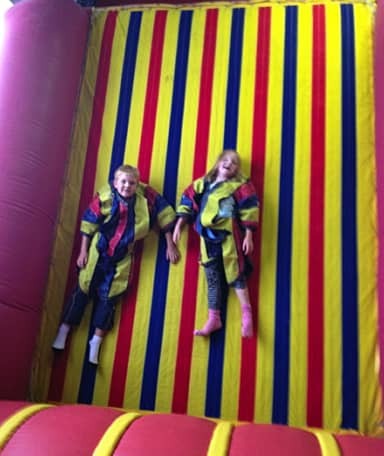 The children had a blast! Other venues offer parents coffee.